Zagasnack snack promo pack bag with jelly beans approximately 0.5 oz. These snack promo pack bag treats will take your brand to the next level with breathtaking four color process graphics. A 3" inch bag filled with trail mix which will ensure your clients remember you. 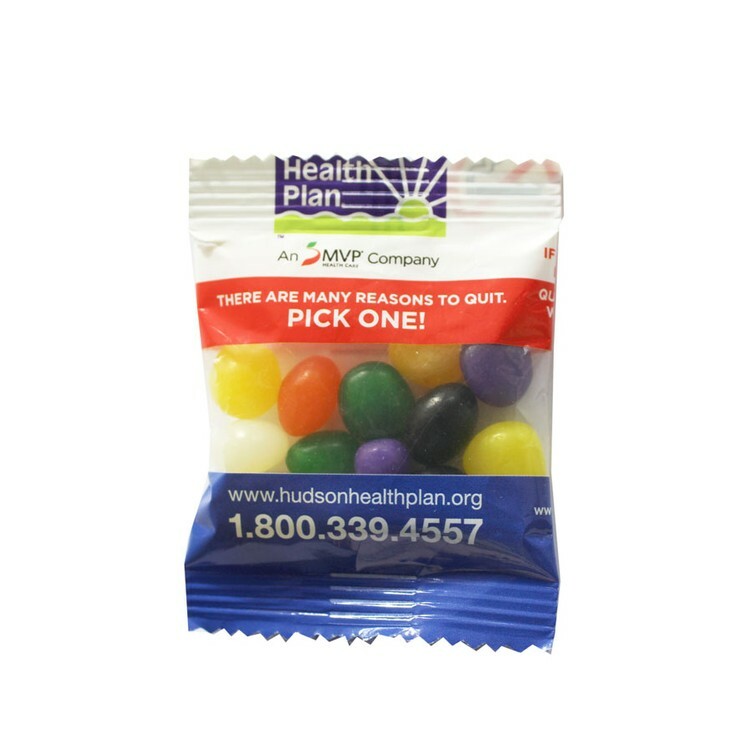 Best jelly beans, snack pack, snack bag, and promo pack value in the industry. Also available in 5" and 7" bags. Please call for other available fills.